A seasonal anthology of Christmas-themed writings to savour during the highs and lows of Christmas Day. 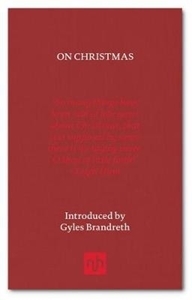 This delightful book offers a diverse array of classic and contemporary writers who have expressed their thoughts about Christmas over the centuries - with joy, nostalgia and dazzling wit. Includes selections from Dostoevsky, Truman Capote, A.A. Milne, Jerome K Jerome, and modern day diarists, this beautiful volume is as full of delight and nostalgia as Christmas itself.